There are several factors that would cause poor signal or slow Wi-Fi speeds on your Samsung Galaxy S5. Read on to know what are the possible culprits and how to get the main issue resolved. Here are some recommendations to deal with poor signal strength or slow data speed problems on Samsung Galaxy S5 smartphone. - Wireless (Wi-Fi) network is out of range, thus inaccessible. - Interference by other electronic devices, barring the device from getting strong Wi-Fi signal strength. - A protective case or cover tends to block the connection/network signal. - Router software is already outdated and needs an upgrade. - Third-party app or active software program is taking significant amount of data. - Temporary problem on the wireless router. 1. Check out for necessary software updates available for your device, including your wireless router. Your wireless devices may need to have certain software upgrade in order to function properly. 2.1. Press and hold the Home key. Doing so will open recent applications running on your device. 2.2. Touch to select Task Manager to proceed. 2.3. Touch the RAM tab. 2.4. Touch Clear Memory to initiate clearing of RAM on your GS5 handset. 3.1. Open the device's Internet browser. 3.2. Touch Menu to get started. 3.3. Touch to select Settings to continue. 3.5. Touch Delete Personal Data option. 3.6. Put a check mark next to Select All. If you are using Chrome browser, then please refer to the following clear cache methods instead. * Touch to select Settings. * Touch Clear Browsing Data. (This option is located at the bottom of the screen). * Put a check mark next to All the Items. * Touch Clear to initiate clearing of cache and cookies from Chrome. 4. Be sure to check if the device still has plenty of space left to process more system requests. In case your device is already running out of internal storage, then the device would need to constantly overwrite temporarily stored data such as browsers cache, in order to receive new data. To check your device's internal storage space, please follow these steps. 4.1. Press and hold the Home key. Doing so will open recent applications. 4.3. Touch the Storage tab to see the current internal storage capacity of your device. Please note that the following factors could and would affect signal strength and/or cause slow Wi-Fi network speeds. 1. Distance. 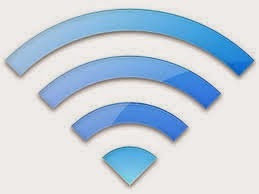 This is one of the most common causes of low Wi-Fi signal. Remember that wireless routers and access points are only limited to low-power broadcasts to avoid interference with other equipment. This then denotes that wireless devices have to be within the range, specifically not far beyond 100 feet indoors, for the wireless network to work efficiently. In this regard, please make sure your Wi-Fi network is within range. The closer you are, the better the signal you will get, as well as better data speeds. 2. Signal barriers. Thick walls are among the Wi-Fi barriers to look out for as certain types of construction materials could block Wi-Fi signals. To prevent signal loss due to any signal barrier, move your wireless routers inside your house to an area where there is better signal quality. 3. Wi-Fi network rivals. There are several wireless sources including Wi-Fi networks in small areas that will compete for signal in the same frequency band. If you happen to notice you are getting unexpected weak signals on your own Wi-Fi network and found out that there are other networks operating in your immediate area, we recommend switching to different channels on your Wi-Fi router. 4. Signal interference. Third-party accessories, like phone cases or covers, can also affect signal quality on the device. To make sure this is not causing the problem, try to remove any cases from your Galaxy S5. 5.1. Press and hold the Home key. Doing so will open all recent apps on your device. 5.2. Swipe any unnecessary apps to the left or right. Doing so will likewise close or exit the app. 6. Clear wireless router's memory. To clear any memory issues on the wireless router, we suggest you to reboot your router to make sure this is not the one causing you to experience poor signal and/or slow speeds. In this case, we further recommend you to check with your router manufacturer or Internet Service Provider (ISP) to verify if there are any available software updates necessary for your Wi-Fi router to keep functioning well.